Wesite Baker is easy, secure, flexible and extensible open source content management system great for small sites. Hosting for your Website Baker website that just works. Servers optimized to give you the best Website Baker experience possible. We’ll even install Website Baker for you! We’ll move the Website Baker site for you! Softaculous auto-installer – Install Website Baker in just a few clicks. GD support – Needed for many Website Baker plugins. Zend and Ioncube support – Needed for some Website Baker plugins. WebsiteBaker helps you to create the website you want: A free, easy and secure, flexible and extensible open source content management system (CMS). Create new templates within minutes – powered by (X)HTML, CSS and jQuery. 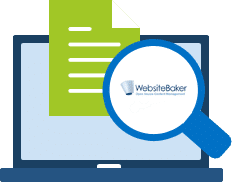 With WebsiteBaker it’s quite natural your site is W3C-valid, SEO-friendly and accessible – there are no limitations at all. Use droplets – the new and revolutionary way of inserting PHP code – everywhere you want. In addition to that, WebsiteBaker and the community are offering lots of extensions: Just download, install with two clicks and use them. That is not enough? You want more? No problem, build your own modules! The WebsiteBaker API gives many opportunities you can rely on. 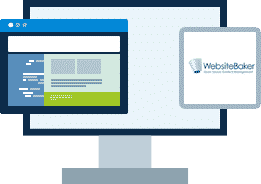 WebsiteBaker is the best choice for designers, developers and users – whether you are a beginner, advanced person or geek. Give it a try and WebsiteBaker will convince you!